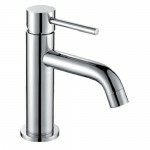 Elevated washbasin mixer. Chromed. Cartridge with ceramic discs. Bath mixer complete. Chromed. Cartridge with ceramic discs. 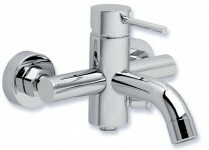 With hand shower. Shower mixer. Chromed. Cartridge with ceramic discs. Hot water security device. 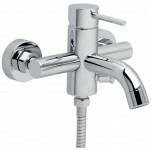 Built-in shower mixer with diverter. Chromed. Cartridge with ceramic discs. Built-in shower mixer. Chromed. Cartridge with ceramic discs. 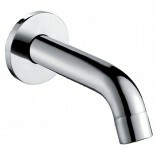 Wall-hung washbasin mixer. Chromed. Cartridge with ceramic discs. 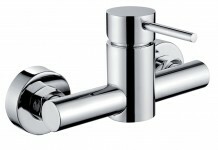 Thermostatic shower mixer 12cm. Chromed. Cartridge with ceramic discs. Hot water security device and 2-step system.